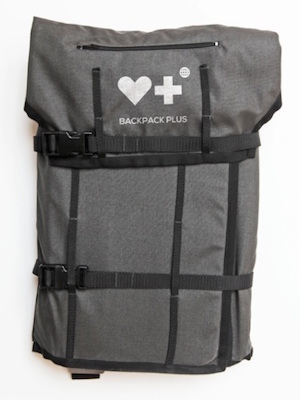 The Backpack PLUS Collaboration provides a prototype toolkit for Community Health Workers (CHWs) to distribute a basic package of medical commodities and diagnostic tools to patients throughout developing countries. By supplying CHWs with the basic tools and medications to prevent, diagnose and treat the most commonly pervasive problems in public health, the Backpack Plus Collaboration looks to establish a holistic framework to achieve the Millennium Development Goals (MDG) health goals. A joint initiative between UNICEF, Save the Children, the MDG Health Alliance, the One Million Community Health Worker Campaign and Frog Global Design, Backpack Plus has undergone intensive in-country research with CHWs in Uganda and Senegal. In its next phase of development, Backpack PLUS will undergo further pilot programs with the goal to roll-out distribution in sub-Saharan Africa and South Asia.